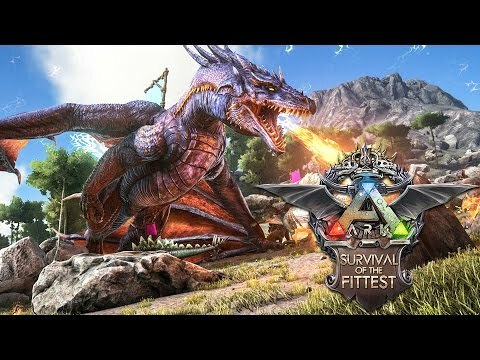 Welcome to ARK: Survival of the Fittest, the first ever M.O.S.A. - a Multiplayer Online Survival Arena - that Studio Wildcard designed for the burgeoning wild west of eSports. A spin-off from the most popular open-world Early Access game on Steam ARK: Survival Evolved, ARK: Survival of the Fittest (SotF) pits up to 72 combatants in an action-packed struggle for survival where players are ultimately pushed into an epic final showdown where only one “Tribe” will make it out alive. Survivors can form one- to six-person Tribes with the options to choose Unofficial and Official (Ranked) servers, and a variety of game-lengths and sizes in which to play. 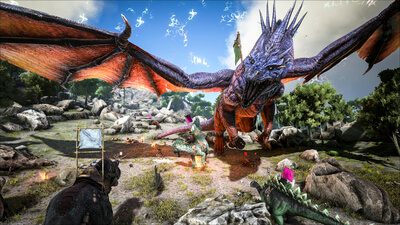 Players will start in the base forest environment introduced in the original ARK: Survival Evolved, with new environments and creatures introduced as the game evolves. 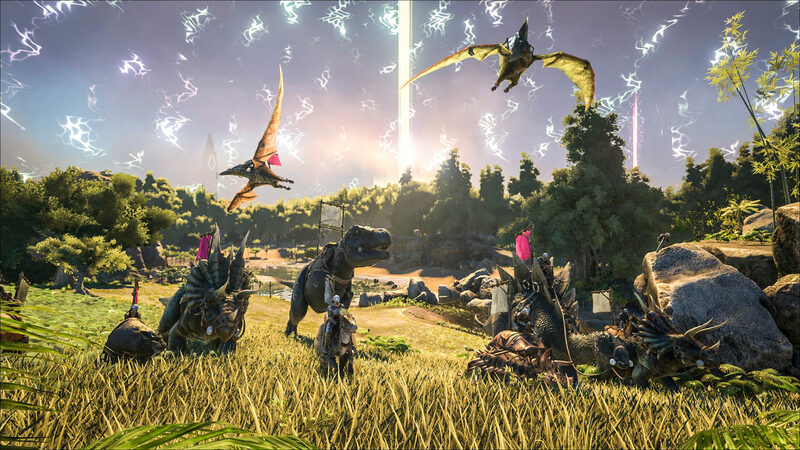 Dedicated eSport ranking, matchmaking, reward, and tournament features make ARK: SotF readily accessible to all players. Balanced for intense competition, contestants begin in a neutral staging area where they can communicate pre-game, strategize, or talk trash. After a count-down, they dramatically descend from the sky onto the ARK in a circular formation via beams of light. There is a cache of valuable items in the center – do survivors dash for the goods and fight it out, do they run into the forest and hide, search for Dinosaurs to rapidly build their army, or do they freeze up from the sheer terror of death? A continually shrinking “ring of death” forces contestants ever closer together over time. The hunt is on!